Users will soon be able to control Spotify, Apple Music, and Google Play Music, including podcasts, Google said. 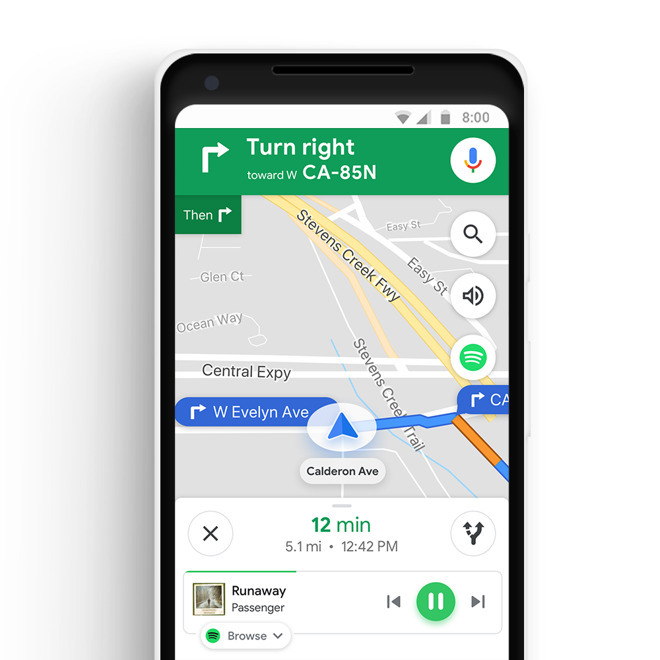 Typically however drivers will only be able to play, pause, or skip tracks — browsing content such as playlists will be limited to Spotify subscribers on Android. Similar integration is already in another Google app, Waze. The Commute tab will incorporate live traffic and transit data, such as real-time display of bus and train locations in 80 regions. People in Sydney, Australia will even be able to find out how full the next ride is so they don't try to rush for a full carriage. Other features include forecasts based on traffic and accidents, and alternate routes as backup. Only Android users will get mid-route notifications about disruptions, but everyone will be able to see the complete details of "mixed-mode" trips —i.e. driving traffic, train departures, and walking times. The free iPhone and iPad app should be updated sometime this week. Google recently updated both Waze and Google Maps to take advantage of third-party CarPlay navigation introduced with iOS 12. 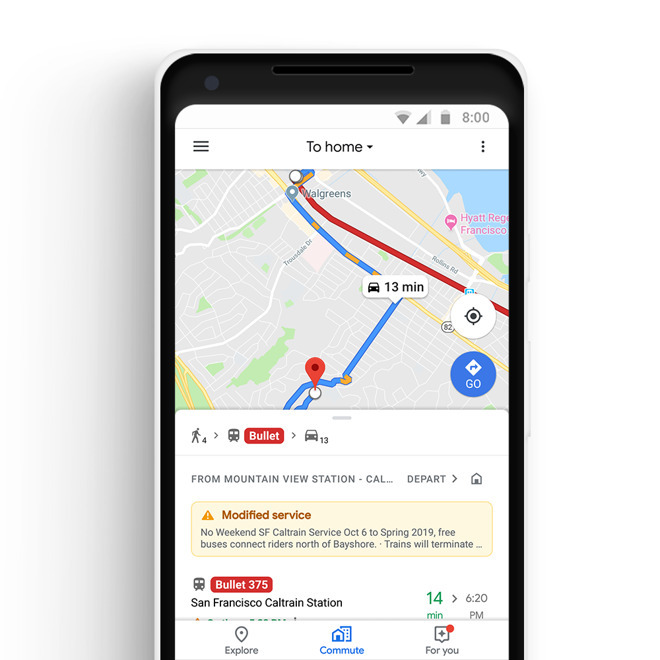 Drivers have sometimes complained about being limited to Apple Maps, which while regularly improving still lacks the options and accuracy offered by Google. It's not yet clear if Google Maps' CarPlay interface will get music support.